We had a very busy committee meeting on 18th February and several decisions were taken, particularly in relation to Saints Constantine and Helen’s day celebrations being held outside the clubrooms, and moving the presentation of the Kastellorizian Award to later in the year (as we did last year). In the absence of a volunteer to be the Secretary, I am now also wearing that hat in addition to the Presidency. If any member wishes to relieve me of that duty, please let me know. 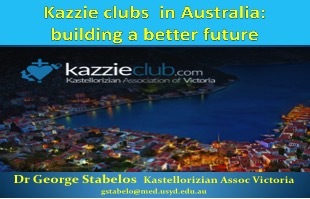 Following the generosity of our current Kastellorizian of the year, George Pappas in establishing the Pappas Family Kastellorizian Scholarship at Victoria University, we have now contributed $5000 to the Victoria University as a contribution to the Trust that will endow the scholarship. Sundays at the Club will continue this year, and for our first event in April, we have moved the time slot to the afternoon (details below). The presentation by Dr George Stabelos is sure to ignite vigorous discussion. If you are interested in the future of the club, and I hope you are, then please make an effort to come and join in, and also enjoy an afternoon tea. We have now appointed a webmaster, and over the next month or so our website will be brought up to date. The youth question has been on my mind. I have decided to hold a function “Cocktails with the President at Home” for our young Kazzies in the age group 25 – 45 (Further details below). It will be held at my home, and a date has been set for 6th May. Every effort will be make to make it attractive. The purpose is to bring our youth together to not only spark interest in our Club and vocalise their interest in future events, but to give them the opportunity to meet each other and network. Numbers will be limited, and it is strictly by RSVP (see below). 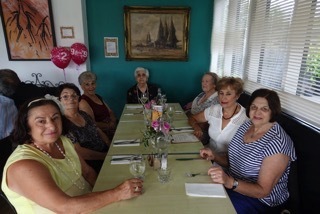 Congratulations to the Ithacan Philanthropic Society who staged a brilliant picnic on 14th February as part of their Centenary celebrations, and generously invited our members to attend. That they attracted over 700 people to participate is extraordinary. When the Ithacans hold their Ball on 22nd October, I hope that there are a few Kazzie tables to show our support. Pleasant Sunday at the Club. Recognising our past; Understanding the present; Creating our future; Development of clubs; The ABC of future Club success, including – Increasing inter-generational club relevance. The presenter is Dr George Stabelos who has more than 30 years’ experience on community based and other voluntary committees and 25 years’ experience in the Health Care sector. The presentation definitely has ‘wow’ factor, so please come along and enjoy yourselves, have your say, and participate in a delicious afternoon tea. You won’t be disappointed. George Calombaris is scheduled as a guest speaker at 7.00 pm. Finger food from Calombaris’ celebrated restaurant, Gazi will be served. The event is strictly by RSVP for those in the age group 25 – 45, and it is FREE. Sunday 22nd May 2016. In May we usually celebrate the feast day of our patron Saints – Sts Constantine and Helen – at our clubrooms. This year in a departure from that custom a celebratory lunch, subsidised by the Club, will be held at a restaurant (venue to be advised). The VCE Awards and Young Achiever Awards will be presented at the luncheon. In the April Bulletin, restaurant and contact details will be given so that those wishing to attend the luncheon can advise their attendance. The luncheon will be strictly by RSVP. Nomination forms for the annual VCE and Young Achiever Awards will be advertised and available on our website at the end of March and a reminder will be published in the next e-bulletin. The awards will be presented at the Sts Constantine and Helen luncheon on Sunday 22nd May. It was very gracious of the Ithacans to invite the Kastellorizians to join them at their splendidly organised picnic. The weather was kind, which was a big plus. Of the more than 700 who attended there was a small representation of Kastellorizians. There were at least 200 youth in attendance and the tennis, jumping castle, soccer, football, athletics, and connecting with each other, seemed to keep them entertained. A DJ provided music all day and of course there was some Greek dancing. Several youth indicated, of their own free will, that they would return next year, which highlights the importance of providing activities to stimulate them. It was a huge and enjoyable social success, topped off by a grand afternoon tea. On Wednesday 24th February Alexandra Constas celebrated her 92nd Birthday. Two occasions were held, one at her home with family and friends for dinner, and another the next day at Gill’s Nursery, with nieces, nephews and friends. Congratulations Alex and may you enjoy a healthy happy life ahead. For those coming on Sunday to the performance of Taxithi, please be reminded that we are meeting outside the Lindrum Hotel 26 Flinders Street at 4.30 pm sharp. If members are interested, I will organise a Group Booking for the above film. Please let me know, and if sufficient numbers we will book in soon. Father Chris is coming in April to the Seniors lunch at the club - please forward or think of any questions you would like to put to him. He would like me to forward them beforehand. Please keep supporting the Seniors and if you have any questions relating to the above, please contact Christine Dimer on 95929450 or 0432915049. This annual program alternates between Kastellorizo and Australia, and it is now Australia’s turn this year to host at least three students. If there were families in Melbourne who would like to host any of these 15-year-old students for three to five days in August 2016, then it would be possible for them to visit Melbourne. Students usually visit Perth, Sydney and Canberra, and FoK would be pleased if they could visit Melbourne, given its large Kastellorizian presence as well as being the third largest Greek-speaking city in the world. Exact dates will soon be available. 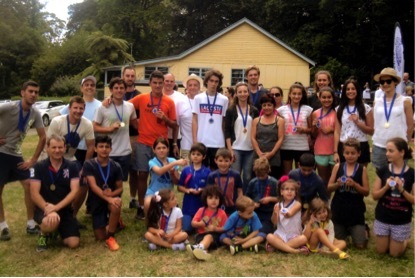 Geore Stabelos hosted two students around four years ago and he reports that it was a great experience for all the family and the students enjoyed their time in Melbourne. 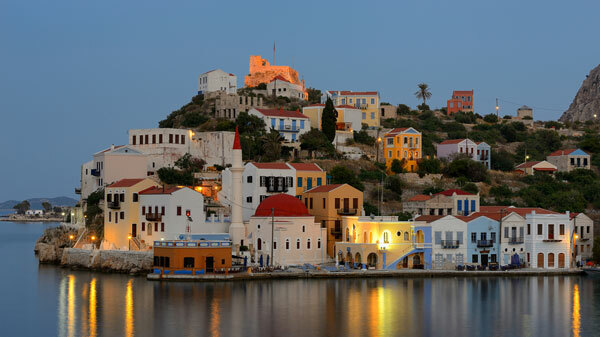 Given the events happening in Greece, Kastellorizo deserves our support and this is a small way in which we can do so, by giving the youth these opportunities. This bulletin is produced by Connie Gregory for the KAV. E-mail gregory1942@bigpond.com brief notices, which are relevant to the KAV membership, and they may be submitted. Feedback is also welcome. The Annual Kastellorizian of the Year Award will be held in October this year, with a tentative date set for 8th October. Venue is currently being decided, but possibly Yianni’s Tavern in Kew East. Nominations for the Kastellorizian of the Year (KOY) Award will be called for in August. 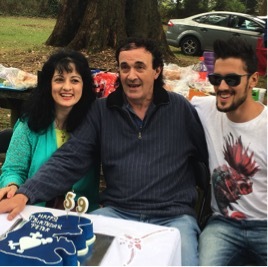 Committee member Anna Miriklis-Defteros presented a birthday cake to her husband Peter at the picnic. The cake was in the shape of the island of Ithaca superimposed with the KAV logo. Nice! 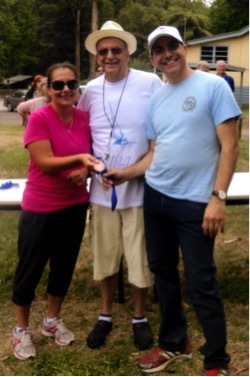 George Stabelos (right) accepting his medal.